Café racer motorcycles are the new craze these days. We have been hearing and seeing more about this type of motorcycle in the news and on social media. So what is a café racer and why the interest? A lightweight, lightly powered motorcycle optimized for speed and handling rather than comfort. For quick rides over short distances. Low mounted handlebars, seat cowling, and elongated fuel tank. The café racer name seems to have originated from the early 1960’s from London where the bikes were used for short, quick rides between cafés. According to one source the racer would race a predetermined circuit outside the cafés – the fastest racer would gain approval for their speed. 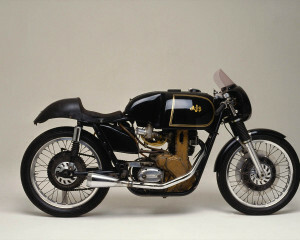 So by the early 1960’s the café racer’s bikes came to symbolize speed, status, and rebellion. Many a rider has decided to build their own café racer, why not you! Search the internet and social media for ideas on how you would like your café racer to look. Better yet, go test drive a café racer from a dealership. Royal Enfield Continental GT is one you can ride or maybe a BMW R Nine T, the more the better so you can get a feel for how you want to make your bike ride and look. Making a motorcycle a café racer starts with choosing a bike to work with. The majority tend to be swayed with the Honda CB series. They are easy to find parts for and are simpler to work on. Start with a clean area and lots of room to spread out. Hopefully, with an area where no one else will bother your project. Before you begin the stripping down and disassembling the motorcycle, take pictures. By taking the time to document the original bike it will save you time later when you run into problems. Label the parts and location of where they came off. Take your time because there will be obstacles to overcome. Worst case scenario you can always put your unfinished project on craigslist. But really it will be so awesome to ride your own custom café racer and have everyone say, “Nice Bike”.